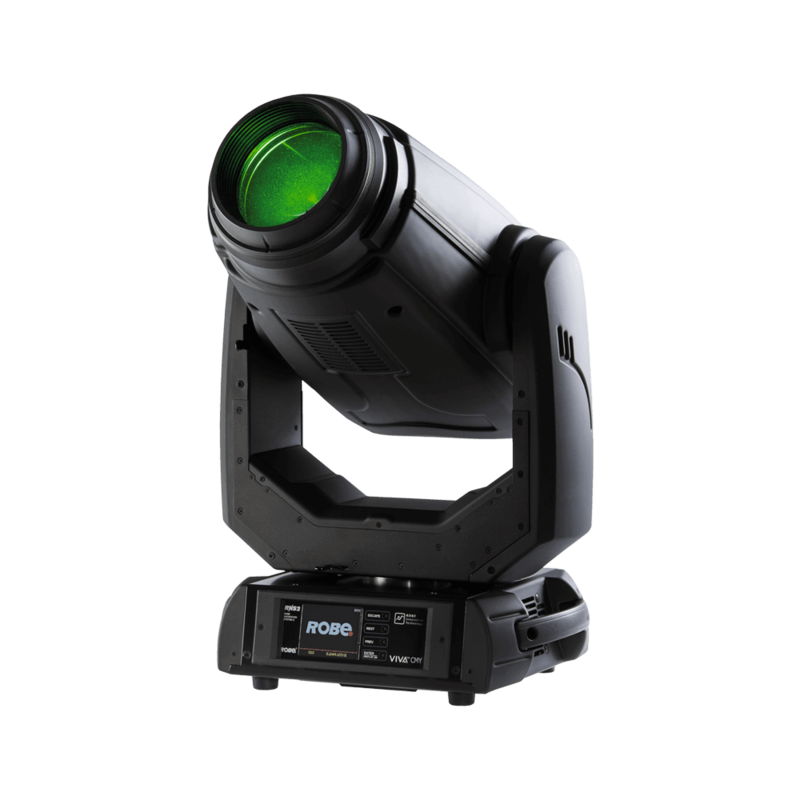 We needed a moving light that was powerful, easy to maintain, quick to rig and derig and above all reliable, this is why we chose the Robe Viva CMY. The fixture is perfect for just about every application, we personally use the moving lights a lot for gobo projection, award shows, corporate events and much more. The robe viva is truly the moving light that caters for just about every application. What does Robe say about the VIVA CMY? Elegant and lightweight, packed with smart effects that are easy to use. The fixture is very powerful yet consumes little energy. The 350W white LED light engine gives an extra punchy beam with even flat field and an incredible 20 000 hours of operation – in fact, no relamping will be needed for the entire life of the fixture! Smooth color transition and fixed vivid and radiant colours can be applied from CMY mixing system and colour wheel, and rotating or static gobos added for projections or mid-air effects. The smooth zoom can go out to 40 degrees at its widest and be softened it up with variable frost to create a gentle wash-like output or dynamic background projections. The minimum 9° zoom produces a piercing beam that can be trimmed with ultra-fast stepless iris for really punchy output, and VIVA has extremely fast pan/tilt movement using Robe’s proprietary EMS™ (Electronic Motion Stabiliser) technology.